A team with hearts of gold, Birth for HumanKIND provide free birth support services to refugees and asylum seekers, and other young women in vulnerable or disadvantaged circumstances. And now this team with their hearts of gold, need your support with their fundraising campaign. Click on through to see how your donation – no matter its size – can help! It’s often said it takes a village to raise a baby and facing pregnancy and childbirth with minimal family support or none at all is very tough. Not-for-profit Melbourne-based organisation, Birth for HumanKIND aims to grow its free birth support, pregnancy and post birth education service to those women who need it the most. 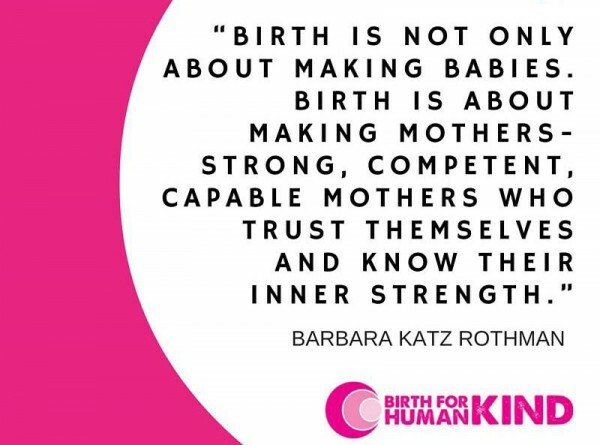 As a community of volunteer doulas, Birth for HumanKIND is dedicated to improving the birthing experiences and wellbeing of women who would otherwise be without adequate care and support. This immeasurable support is always valued greatly by women during one of the most important times of their lives – and often, forges life long friendships. Their fundraising goal is $15,000. You can follow how it’s going on Facebook and make a tax deductible donation directly at Birth for HumanKIND. We here at Babyology urge you to donate – no matter its size, every single dollar helps support fellow mums!